I was asked by a member if I will post up my building my new camper on the forum, so I post it up as I go, mind you it may take awhile for me to finish it. 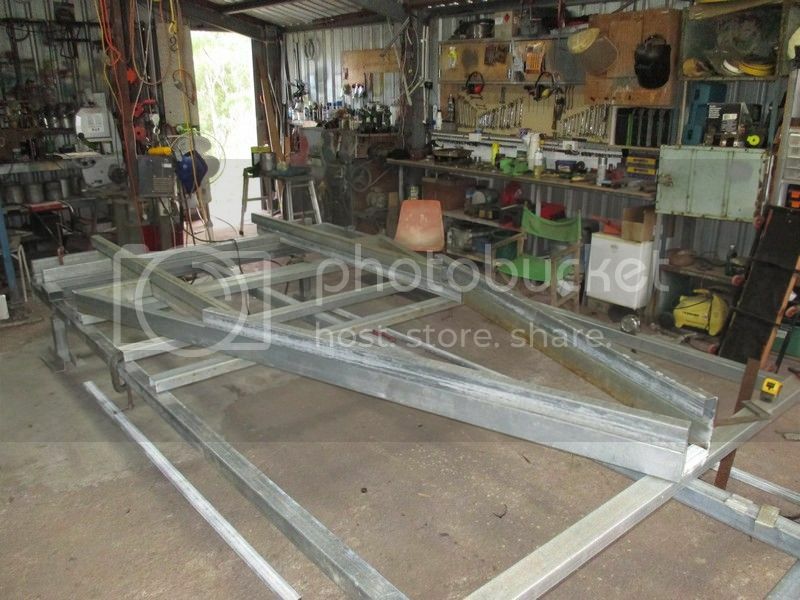 The shed was cleared out and I built the stand to build the chassis. Now I have started to put what I have planed into the real world. 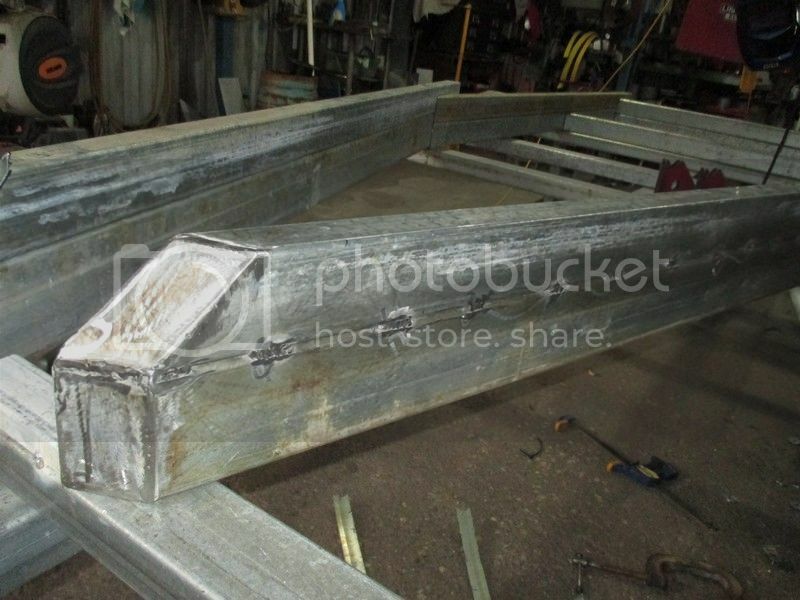 I have now cut all the A frame steel and have started capping and cutting the angles needed in the chassis design. Leaving the steel under the trees has left a stain from the sap, I hope to clean each section as I go before welding. 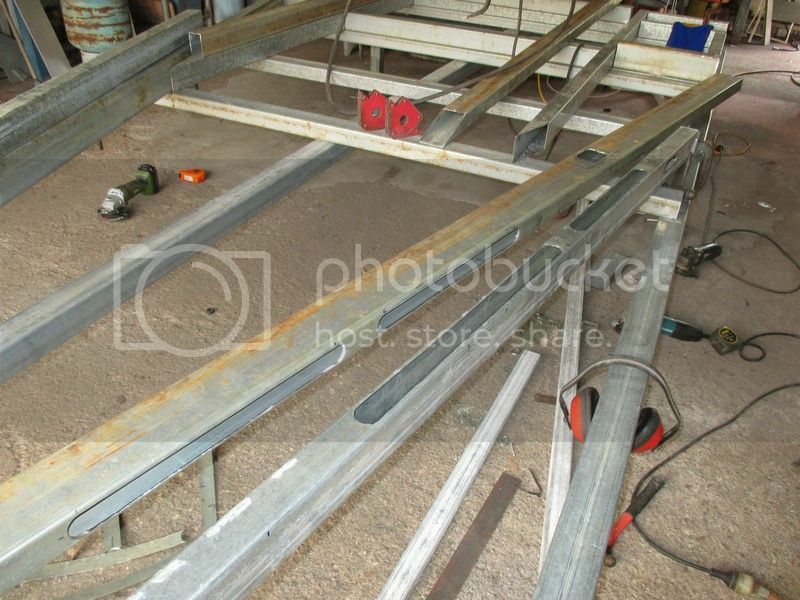 I will cut all the steel to plan at 90deg then re cut the angles, so far the measurements are with in 2mm, I think the discrepancies are due to the angle cut on inside or as plan outside measurements. Be great to follow along on your build. 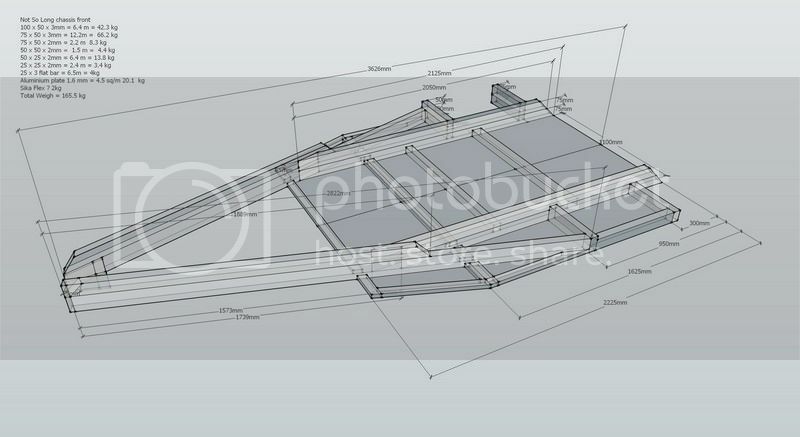 I am hoping to save weight where I can, hopefully without taking away the strength in the chassis. 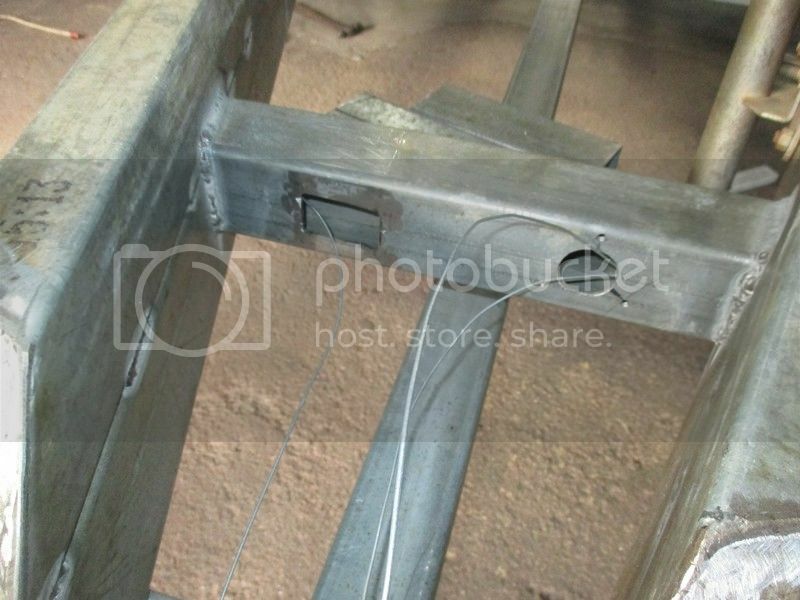 I also am trying to allow for wiring to run through the chassis, so I am cutting holes to run a pull through wire as I build it. 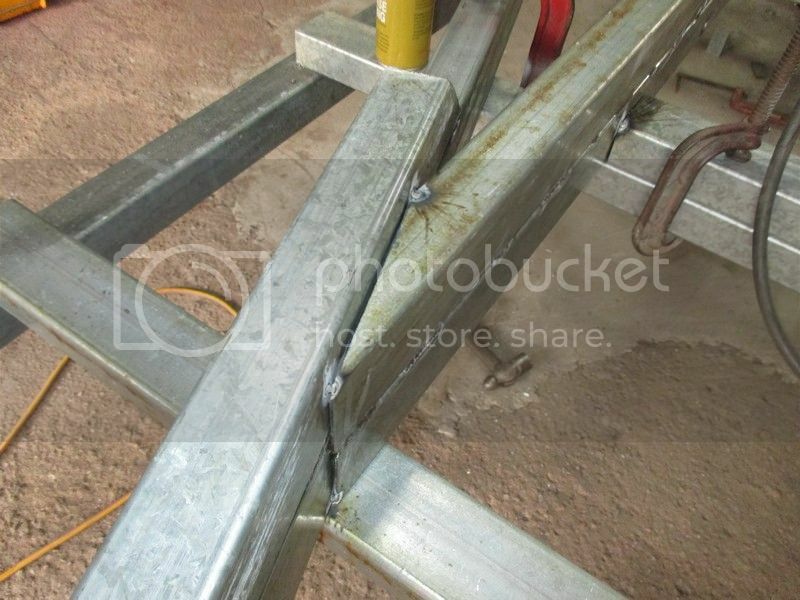 Once all the cutting is done, tack then weld the two pieces together for the right A frame rail. Now to work on the other side rail. Last edited by jclures on April 10th, 2016, 9:48 am, edited 1 time in total. Strech4x4 I see you are a moderator, I have tried to contact the forum before, I for some reason now and for a long time I never get notifications of new posts even though I have ticked of the option. Am I doing something wrong or is there a problem with my settings. I just checked my junk mail and I did get a notification for the posts in this thread however it gets filtered out for me so maybe check that the emails aren't ending up in a different folder? Unfortunately I am only a mod not an admin so I can't take a look at your settings for you, however I will pass this on to someone who hopefully can take a look, although I suspect you have done nothing wrong so they probably can't do much..
thanks, I will see how it goes. I get no notifications now at all from any thread. I have finished the two a frame sections, and welded the front brace. I will fit the plate for the hitch later on. I have run the pull through wires through the front brace, trailer lighting down one side and 12v power to charge the batteries, down the other. There is also allowance for the brake wiring as well. 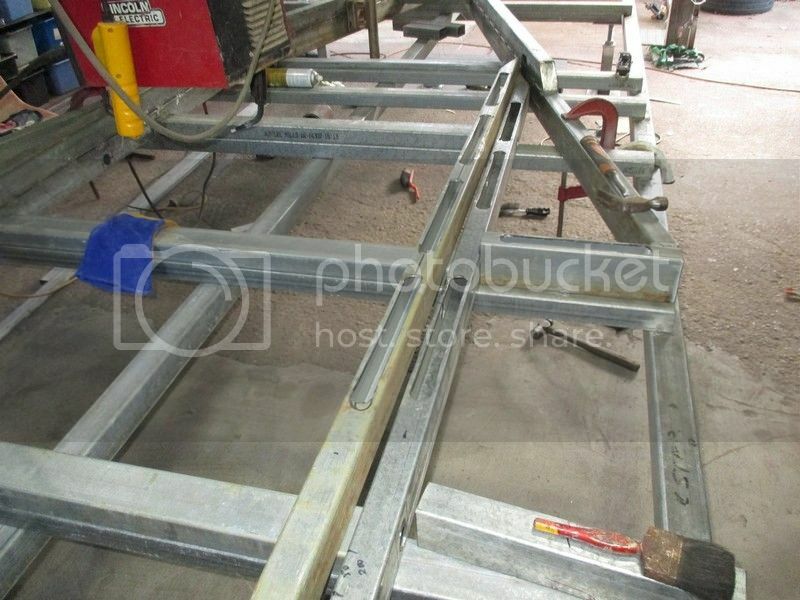 I am now working on the front main chassis rails. Once again I am trying to minimise weight where I can, I have cut the sections to still give cross brace support and the two pieces don't have the holes in the same area. 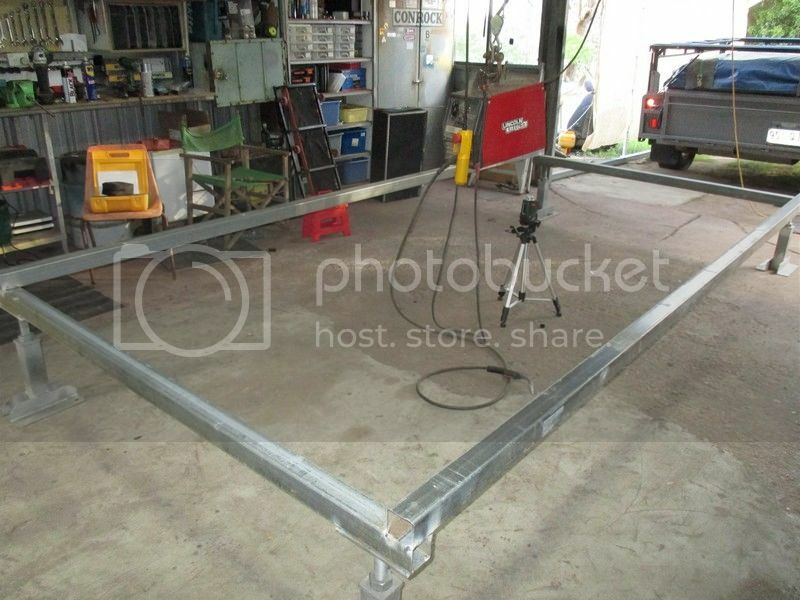 I hope I can get this welded today and fitted to the chassis. jclures wrote: ..... I get no notifications now at all from any thread. Sadly, Stretch is right - we just don't know why some get notifications & others don't, altho it does seem that the majority don't get notifications anymore regardless of how the triggers are set! Btw, I'll be one of the many following this thread too - looks like a good start! Thanks Peter for the help, lets hope they fix it. 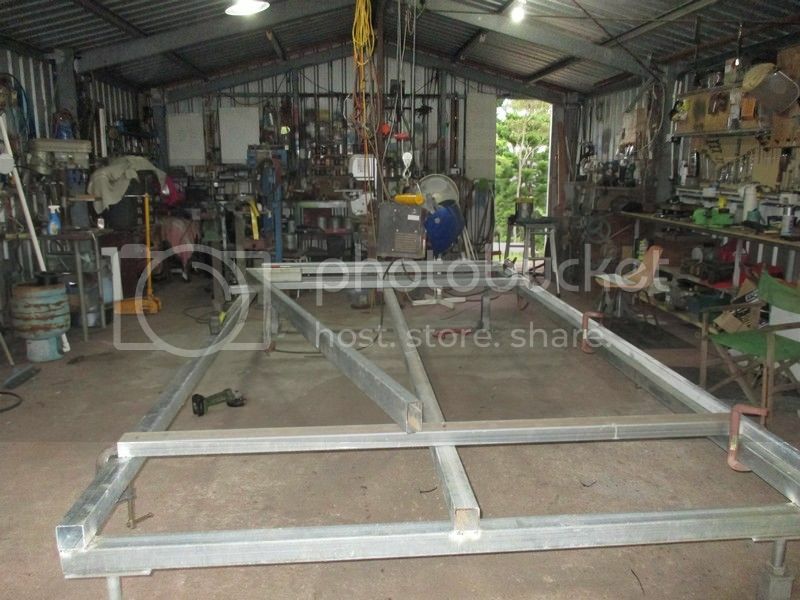 I have finished welding the rails together, and I now can put them together to the a frame. 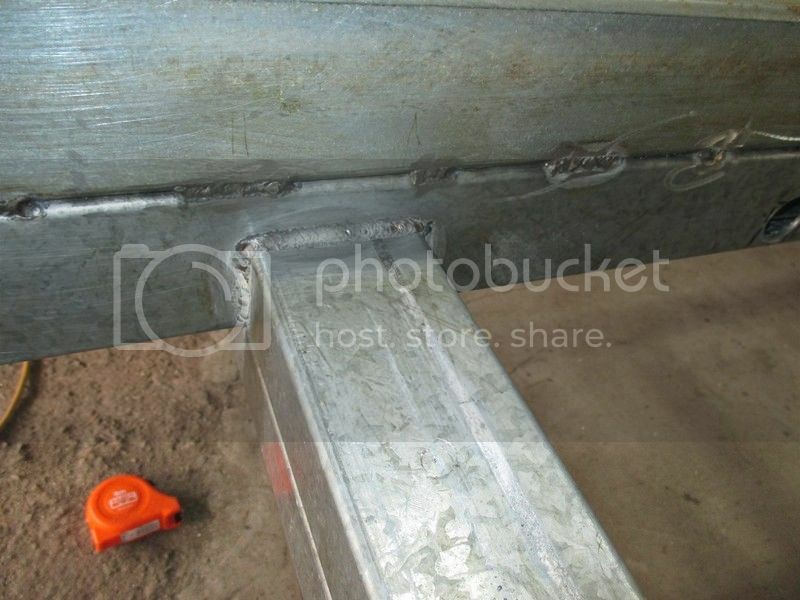 Once in place and checked for square and tacked ready to weld. 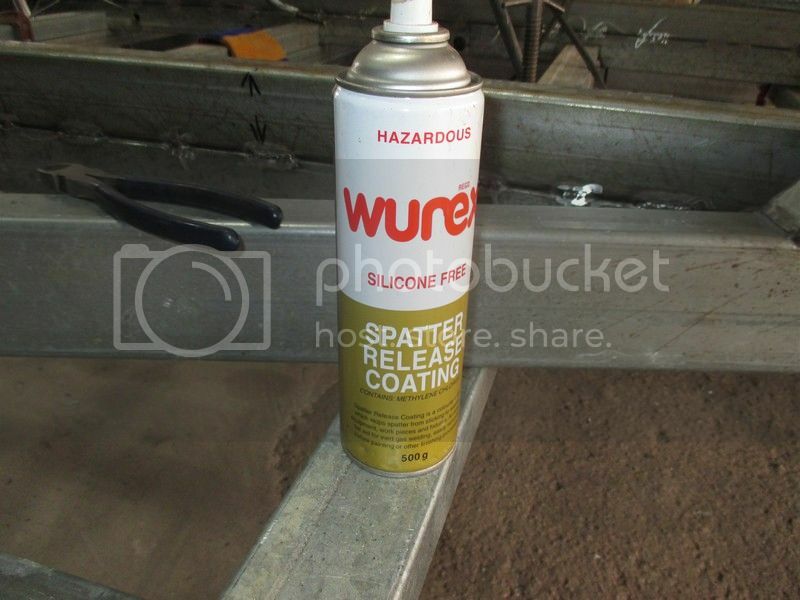 I am using gas less wire so I am trying this product, I think it makes it easier to clean up after welding, just a quick brush with a wire brush and no grinding. The front chassis is now together. I just need the cross braces finished, which I have started. And then the frame for the front storage compartment to be fitted. 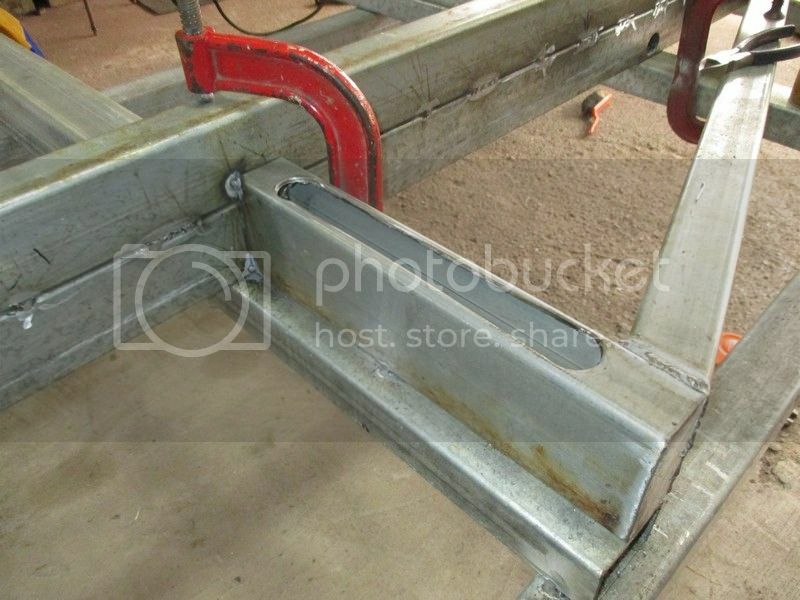 Also the supports for the water tanks as well need to be fitted. 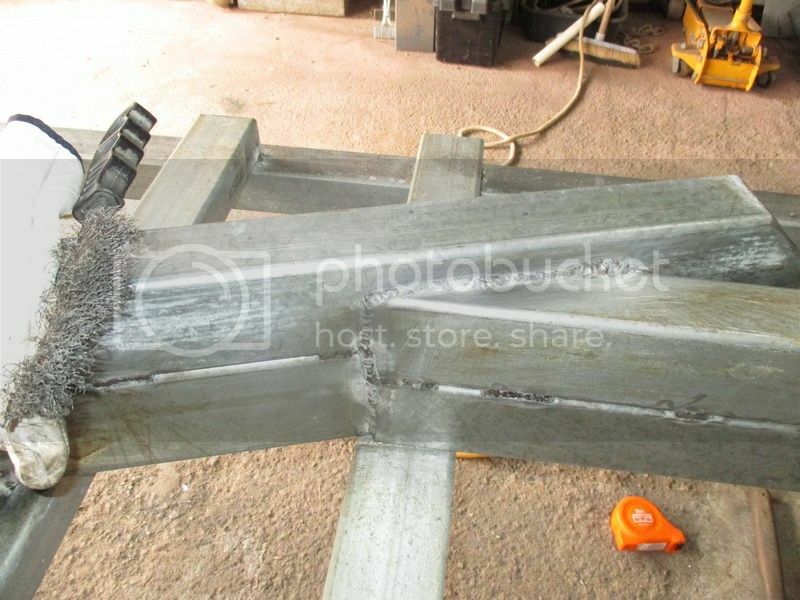 Not good at all to weld the coated steel which looks like it is galvanized? Gives off toxic fumes and affects the weld quality too. 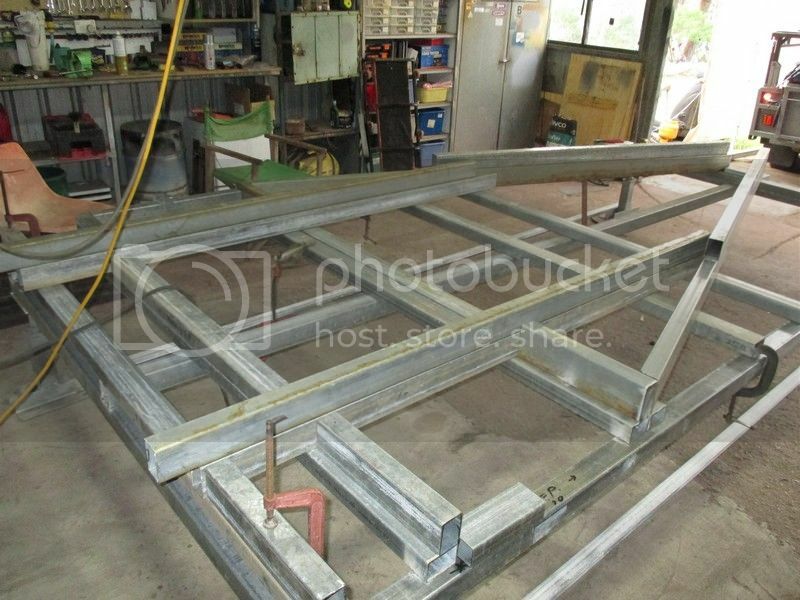 Marcus, that is the good thing of living in north Qld, it never is too cold, so my shed is open both ends giving good ventilation; one of the reasons I opted to use gas-less wire as too often the breeze is too strong. Where I can, I grind some of the gal back to help with a better weld as well. 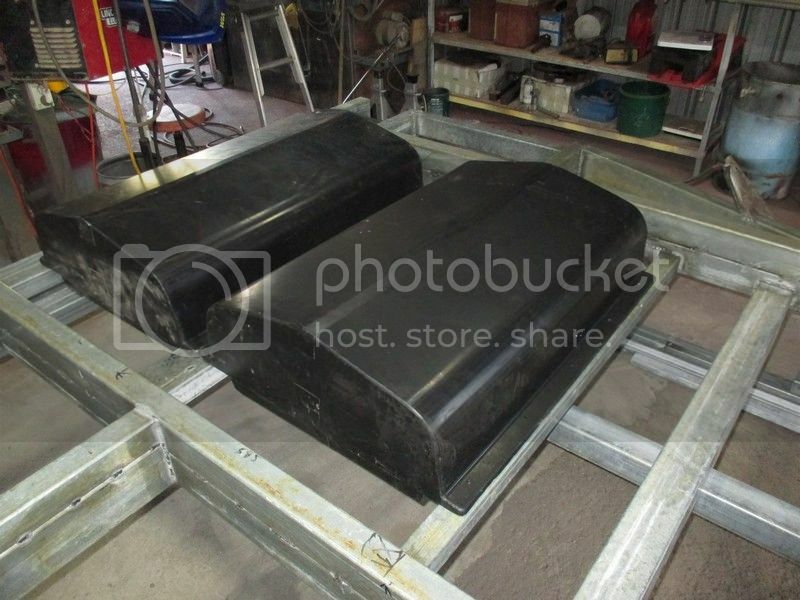 I am planing on fitting two water tanks under the camper, but I am allowing for a third if needed. This has led to my first mistake , some how in the planing in measured the tanks 15mm narrower so two tanks make 30mm. I found my mistake once I tried to fit them in place. Luckily I had only welded one of the cross braces so I removed it and moved it the 30mm forward. The extra front tank might never be fitted, but better it get it right now, so if I want I can just bolt the extra tank up.